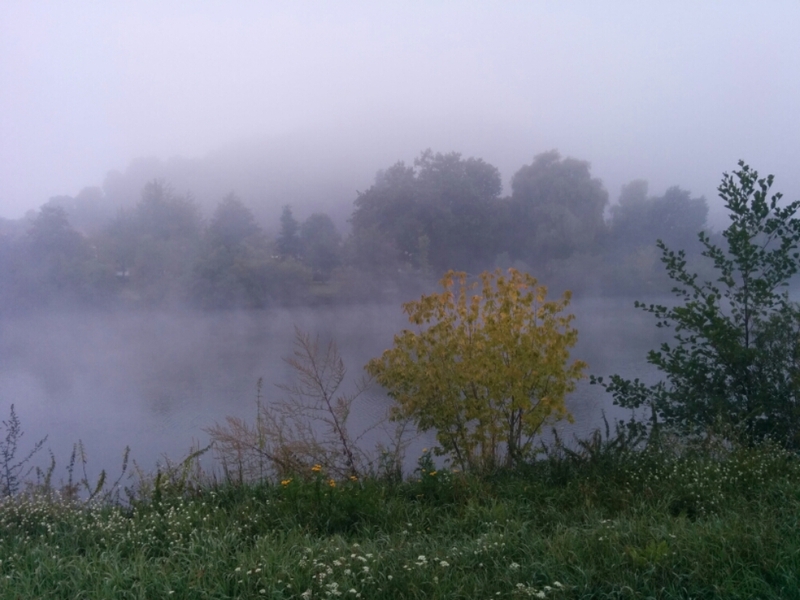 Up early, to find the river by the campsite blanketed by mist. Once the sun made its way into the valley it soon cleared away the mist. After my porridge and coffee, one of the caravaners at the campsite gave me a banana in respect of my journey ahead. The morning’s cycling was on decent tarmaced paths alongside the river. Nice and flat and comfortable cycling. I saw lots of vineyards today but I’ve not tried any of the German wine yet. 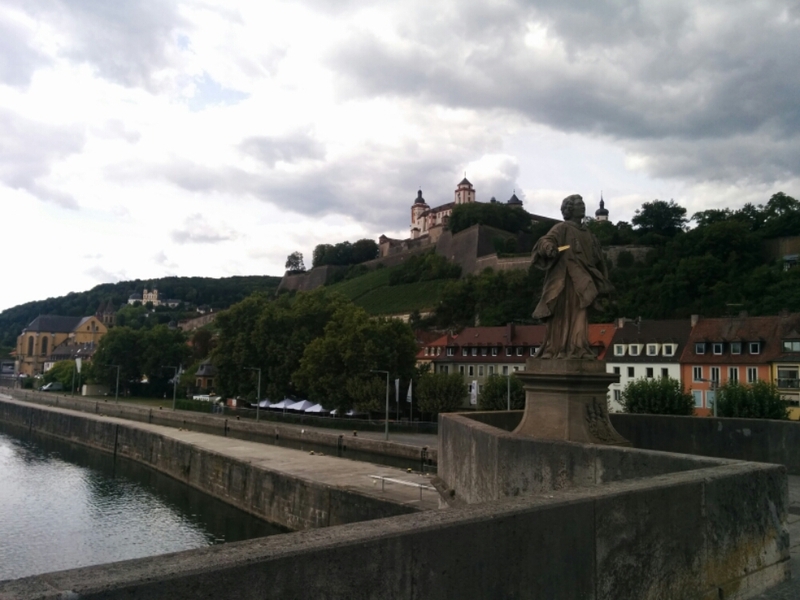 I think I reached Würzburg around 11.30. I stopped for a ‘proper’ coffee in the town centre. 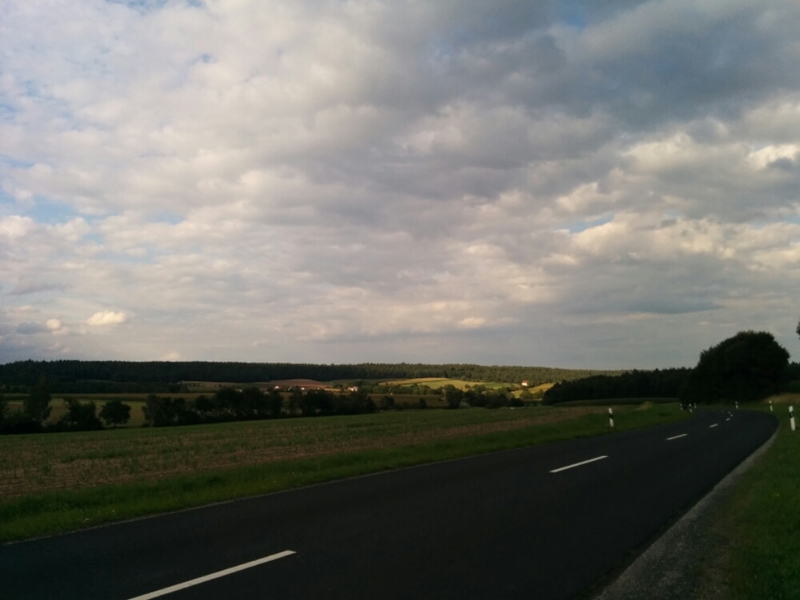 Not long after leaving I decided to divert from the main cycling route which was heading North with the river, and make my way East across country towards Nürnberg. The roads soon got very hilly, as I cycled from village to village. 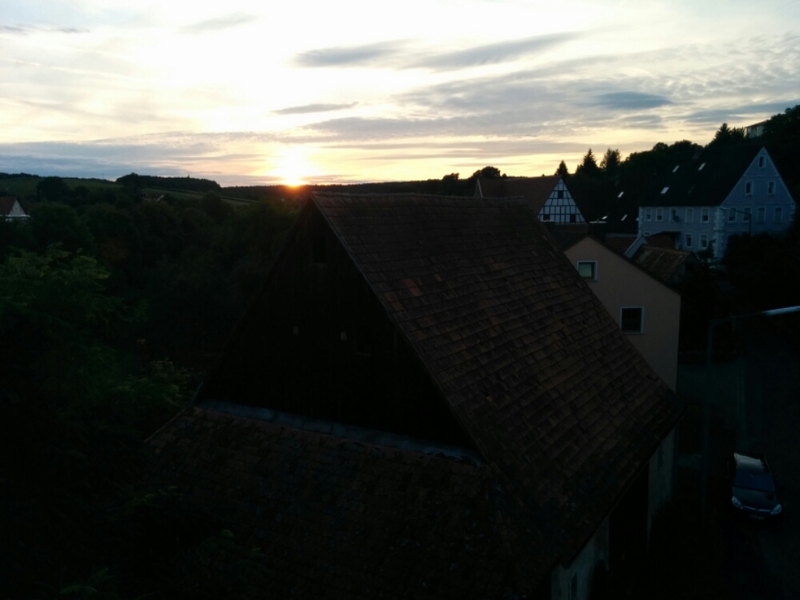 With no campsites nearby (this was proper farming country) and a need to charge my devices, I found a guesthouse that was on the way and checked in. 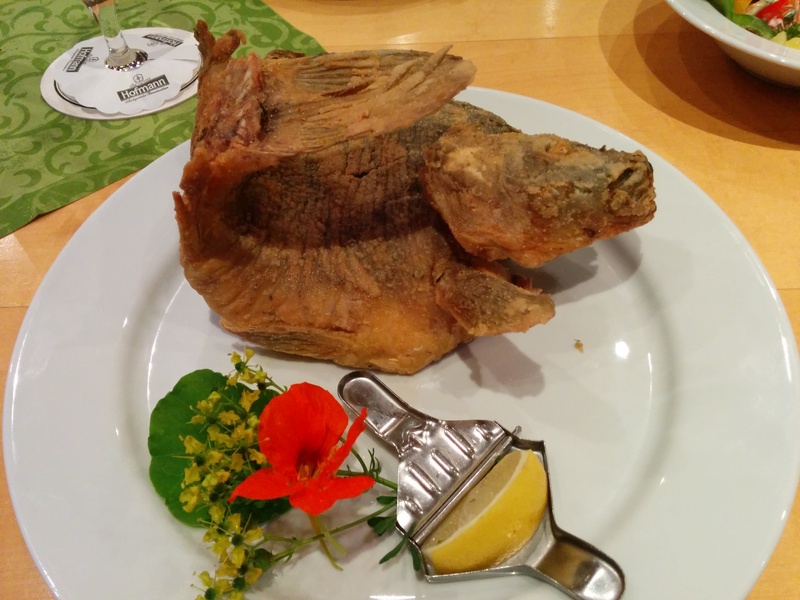 Dinner was a carp with salad on the side. Karlstadt am Main to Market Taschendorf, 103 km. Total so far = 1,233 km. No picture of the carp? Looks fishy. SWEET POTATOES! That is genuinely terrifying. 102km on only porridge banana coffee and fish salad not bad going! Never knowingly had carp. I know they can grow to enormous sizes and are popular in some parts of the continent. I had a potato soup for starters too. Today’s breakfast has just more than made up for it. 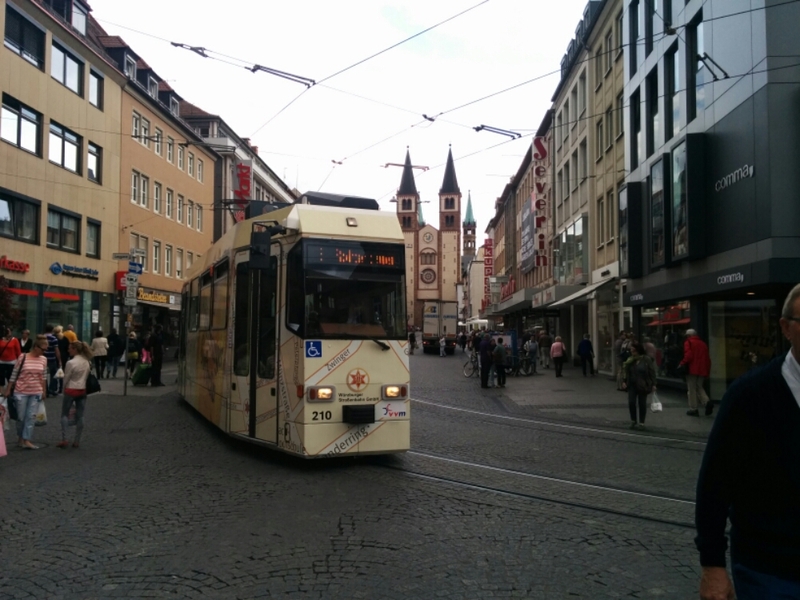 i like to read your stories about your trip and i´m glad that i met you in Bielefeld. I would wirte more but my english is not so good. I hope to improve it in London next year. Blimey gouv’ner! At this rate, we’ll probably see you tomorrow!! I slowed down to do my washing today so I don’t smell too bad. See you tomorrow! It all makes sense, you where staring at my pond for while when you came over Jim, lol.